New Delhi: Paying tributes to the second President of the country Dr Sarvepalli Radhakrishnan, Prime Minister Narendra Modi on Monday asked people to share their anecdotes about their teachers. “Prime Minister Narendra Modi has saluted the dedication and commitment of all the teachers on Teachers’ Day. 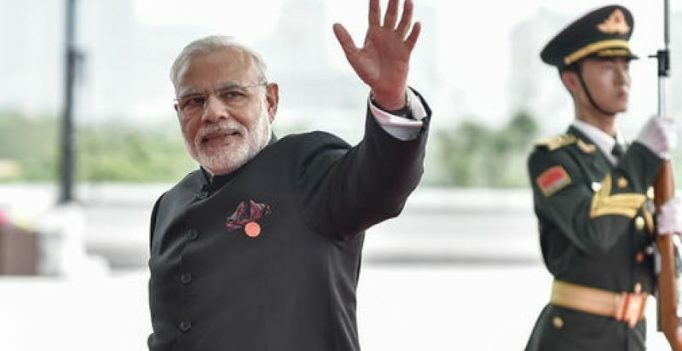 Prime Minister has also paid his tributes to Dr. Sarvepalli Radhakrishnan, the Former President of India, whose birth anniversary is celebrated as Teachers’ Day across India,” an official statement said. “Tributes to Dr. S Radhakrishnan, a scholar, statesman and a respected teacher who shaped many minds and served India. How has your teacher influenced you? Share your anecdote and read what many others have written about their teachers,” the Prime Minister said. Teachers’ Day is celebrated on the birth anniversary of Radhakrishnan.